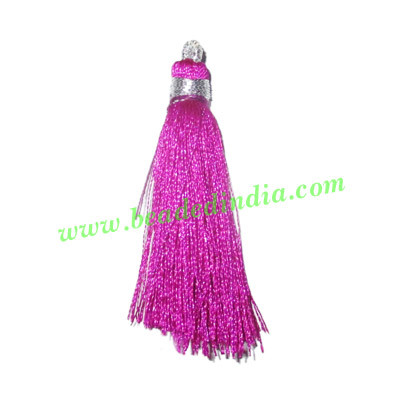 Silk Tassels size 3 inches long, widely used in prayer malas, necklaces and bracelets, available in more than 140 colors, pack of 200 pcs. Resin Plain Beads, Size : 14x17mm, weight 3.43 grams, pack of 500 grams. Barb Wire Leather Cords 1.0mm round, regular color - khaki. Leather Cords 3.0mm (three mm) round, regular color - deep pink. Leather Cords 2.0mm (two mm) round, regular color - rust. Leather Cords 2.5mm (two and half mm) round, regular color - white.